JUST 20,000 MILES & ONLY 1 P/OWNER FROM NEW + JUST SERVICED. 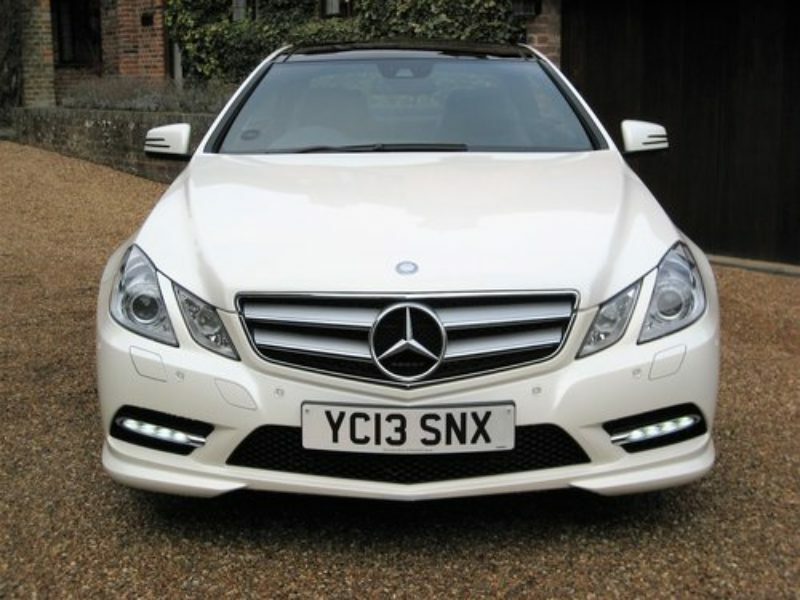 MASSIVE SPEC E350 CDI SPORT COUPE finished in diamond white metallic with upgraded full black leather & black piano lacquer trim. 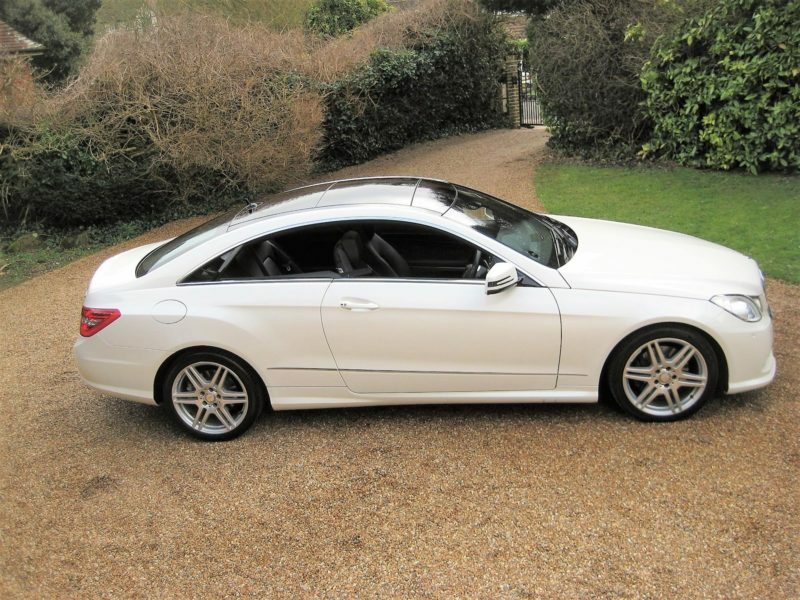 Specification includes Panoramic glass sunroof, COMAND Satellite Navigation online system with media interface, Bluetooth, linguatronic voice control system, Harman Kardon Logic 7 surround sound system, DAB Digital Radio Tuner, reversing camera, electric multi contour front seats with memory package, heated seats, leather AMG 3-spoke multi function sports steering wheel with gearshift controls, auto dual zone climate control, auto dimming rear view mirror, electric folding mirrors, rain sensor with auto headlight activation, light package with Bi-Xenon headlights, LED daytime running lights, adaptive high beam assist with cornering light function, front & rear parktronic with advanced parking guidance, 7G-Tronic Plus 7-Speed Automatic, Full AMG bodystyling with unmarked polished AMG 6-twin spoke alloys & virtually new matching Continental tyres, fitted AMG logo carpet mats etc. 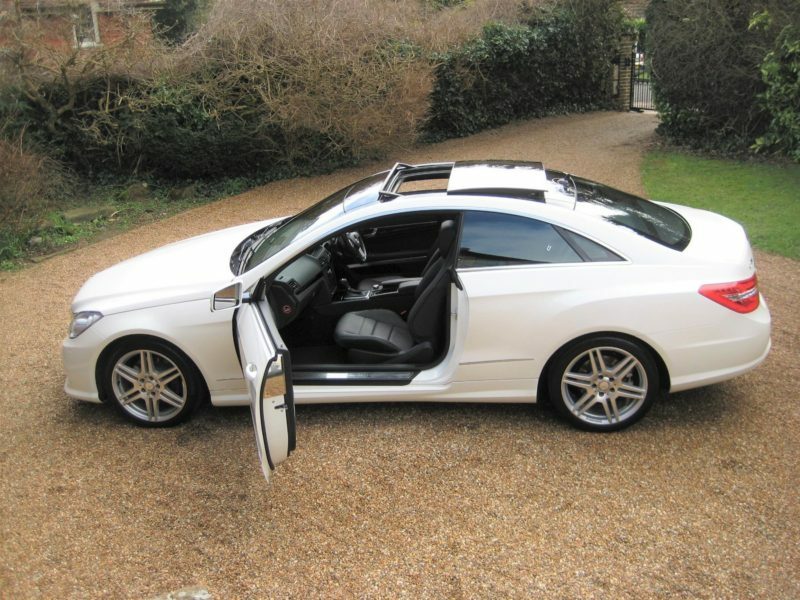 Cost new circa £50k with £10k of optional extras. 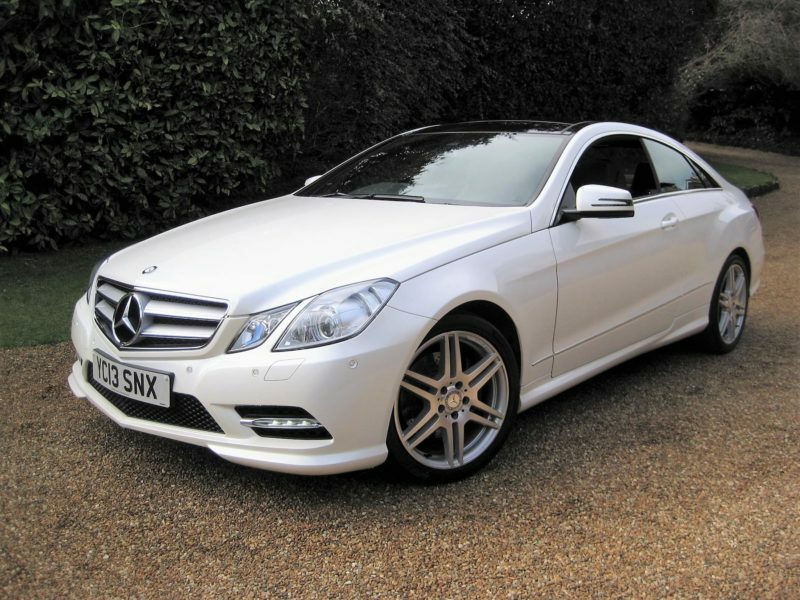 Supplied by Mercedes Benz of Wakefield West Yorkshire with a fully documented service history from new + just been serviced only 400 miles ago. Complete with owners book pack + both remote keys. 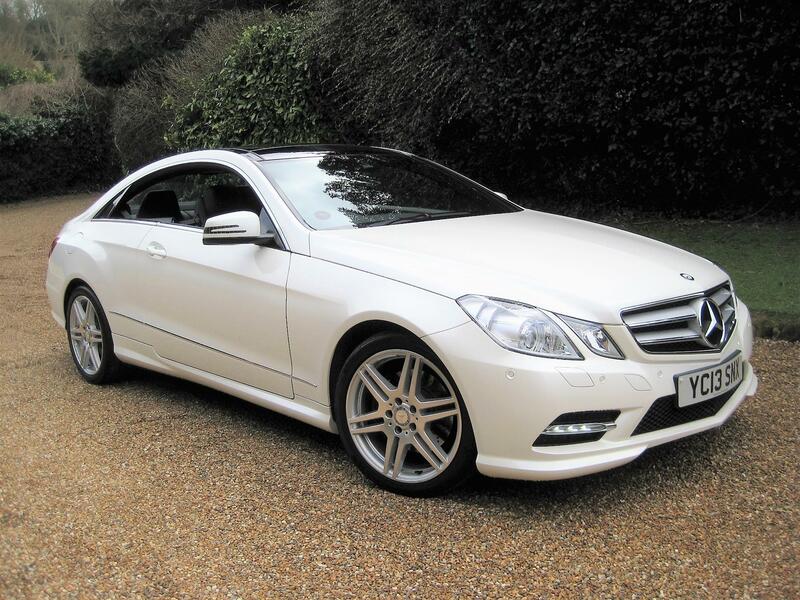 THIS IS AN ABSOLUTELY STUNNING LOOKING, VERY LOW MILEAGE MASSIVE SPEC EXAMPLE KEPT IN PERFECT CONDITION THROUGHOUT & FINISHED IN THE BEST COLOUR COMBINATION.